This weeks guest is Al Columbia. Al is the mastermind behind Biologic Show, Doghead, Orange Sunshine, Pim and Francie and much much more. I am a huge fan of his work, and look forward to the collection of work he is putting together for Fantagraphics. Check out the new Mome for some new art by him, or his website, www.alcolumbia.com. totally random (great interview by the way), but i’ve been unable to find the song that was playing at the beginning of this entry. where can i find it?! Hi! 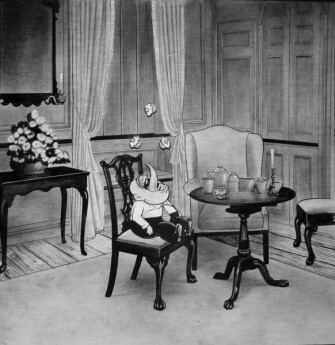 I was obsessing about Al Columbia after seeing his stuff on Smoke Signal recently. Sadly, hard-copies of his stuff are now (2016) rare, and his website is defunct. I really enjoyed this interview, especially the technical questions… I’m glad to have found this Blog. Thank you very much!